﻿ Hansar Samui Resort, Koh Samui | FROM $116 - SAVE ON AGODA! "Traveling through Thailand with 3 girlfriends in our mid-30s..."
Have a question for Hansar Samui Resort? "Stayed here before and it is still fantastic." 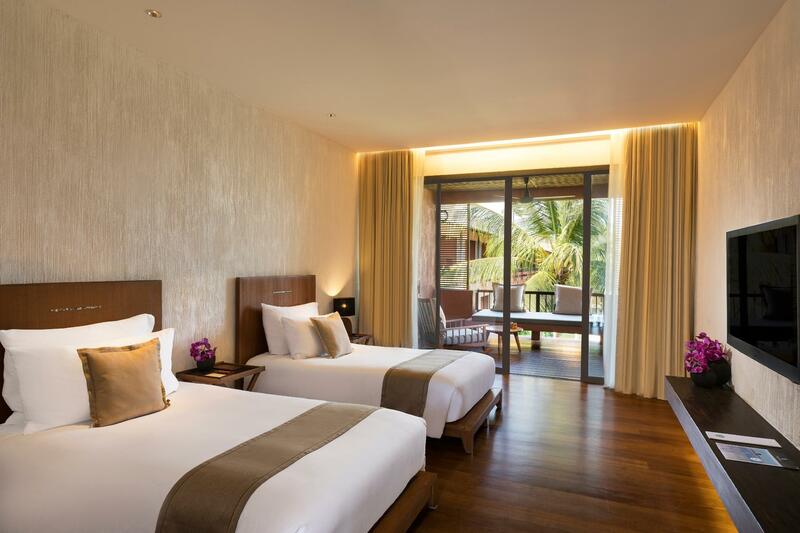 "The hotel was very nice, spotless, staff were great, and the was the location the best we saw on Koh Samui." 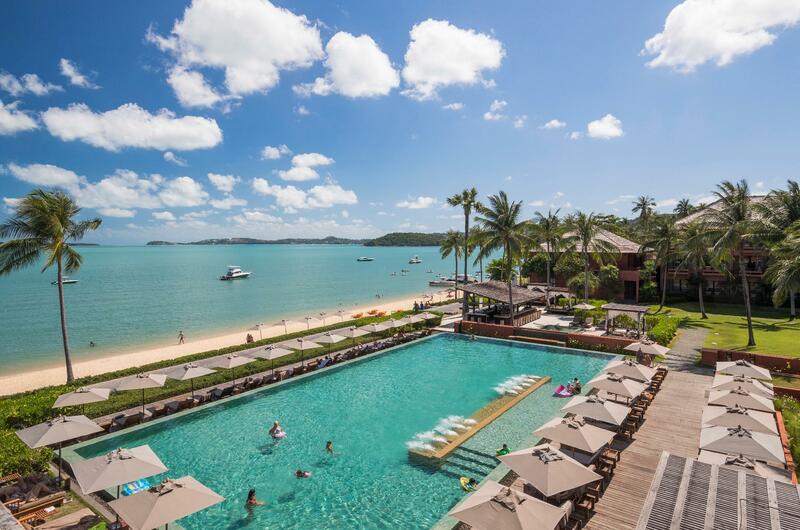 "The staff were wonderful and went out of the way to make sur..."
Situated just 10 minutes from Samui International airport, Hansar Samui Resort is the newest 5-star resort featuring 74 luxuriously appointed rooms with unobstructed ocean views, wireless internet access, and oversized balconies. A leisurely stroll down the quaint cobblestone walking street adjacent the resort is the vibrant Fisherman's Village with its antique wooden shop fronts, chic cafes, and atmospheric seaside bars. The name Hansar is taken from the ancient Sanskrit language and translates to mean happiness and joy. The concept and philosophy of Hansar Samui Resort is to deliver an experience to each guest that is happy, memorable, and enjoyable. The resort offers luxurious, beachfront, spacious accommodation with unobstructed sea views from every room and supersized, private balconies and oversized daybeds for outdoor living and entertaining. Each room has been artfully finished with teak floors, terrazzo bathrooms, and local textiles to provide a sense of place. Chic custom furnishings and large flat screen TVs balance the design's natural touches with a modern flair. For guests with children, please note that the second child sharing the same room with parents is required to book an extra bed. There is an additional breakfast charge for children using existing bed. Please contact the property directly for more information. Children 11 years and over must use an extra bed. Great location - near the fisherman village, recommended most when market is open. Lots of restaurants near by. Breakfast is good. Lots of Israeli visitors. We stayed at "Sea View XL" room - very luxurious room, big with great facilities. Service was great, pool is big and fun. Nothing could have been better. From the moment I arrived your team made me feel special, as they did throughout my stay. I marvelled at such a perfect location gazing across turquoise blue waters. Your restaurant...superb! Amazing breakfasts with caring people. You chef and his team must love their work because every meal I ate was five star. My room was fit for a king - the coffee percolator supplied in the room a lovey quality touch The bed ultra comfortable and that huge Thai shower that poured from the sky! . Being a few steps away from Fisherman’s Village was a real bonus, yet you would never know it was there when you are swimming In those warm waters. Thank you for providing a superb experience. I will be sure to return next time I’m in Samui. Amazing comfort and relaxing vibes at this beachside resort that is well situated near Fisherman's Village, providing you great access to shopping and restaurants. Facilities and staff were great. Definitely make a visit to the spa and treat yourself to some worthwhile luxury. Love love love this gorgeous resort. Pool is perfect with plenty of day beds and chairs and an ocean view over the infinity edge. Small beach area also available, but less utilized than the pool; you can also easily access the beach from the pool area if you don’t want to sit on the beach but still not want to dip in the ocean. It never feels crowded here, and you never wait long for drinks or food poolside. The rooms are incredibly beautiful and comfortable and the patios are a highlight. Breakfast was delicious and included a wide range of options, both Asian and western. Service was impeccable and staff was very friendly, although the drinks are very low in alcohol content and notably more expensive than in town. Hotel transfers are also more expensive than what can be found outside of the property. Gym was usable but had only 9 different sets of dumbbells and limited weightlifting equipment, but plenty of cardio machines. Possibly the best hotel experience of my life. The facilities are incredible, the restaurant is fantastic, the staff are all amazing and the rooms are out of this world. True 5* experience from the get go ! Really well located hotel. Has gorgeous views from the bedrooms, pool, and restaurant out into the sea. At the end of fisherman's village so easy to walk along the road to have food, shopping and more. The hotel is still quiet. Room we had was really big with sea view. Aircon was very effective. Room was quite open plan. Would prefer a more enclosed toilet, had a thin woven door and then 2 glass pannels ahead of the toilet looking into the shower. The hotel didnt have any lifts and being on the top floor meant a little climb to our room. I wouldn't recommend this hotel to those with mobility issues. We really loved the pool area, the view, sun and cool infinity pool made it a holiday to remember. 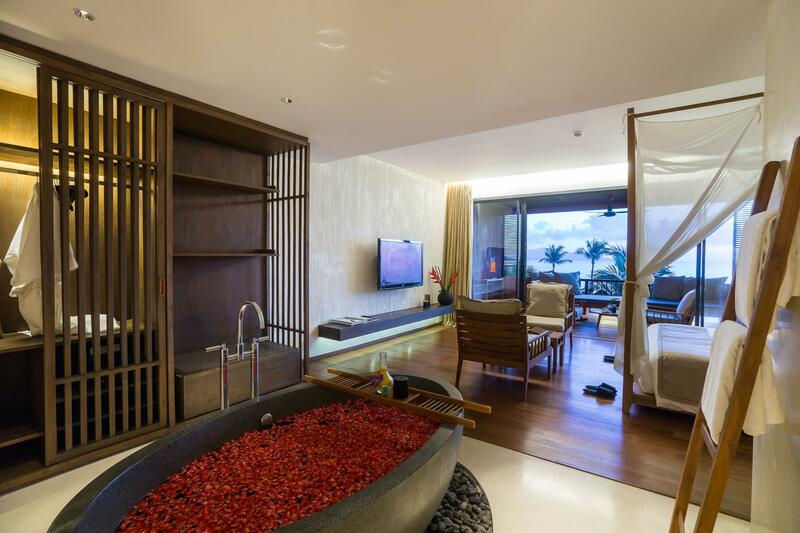 Stylish but not pretentious, rooms are spacious and balconies have ceiling fan with romantic lighting at night. Staff are brilliant with genuine kindness. Location is the best with seaviews over huge pool and beachfront. Can't beat this hotel, tops for us and we just kept coming back. Couldn't stop coming back, we'd go and stay at other hotels on different beaches on Koh Samui and be a little precious after staying at Hansar. We'd then rebook at Hansar and loved coming back. Friday nights are brilliant at Fisherman's Village with the night markets. Kittiya (Beyonce), Kob, Dom and Ing in reception were all incredible and made our stay feel so welcoming! Staff are incredible, room is beautiful, balconies are fabulous. Every room has a sea view. Breakfast is fabulous and has upstairs and downstairs chilled dining. Food and drinks are delicious and standard of cleanliness and friendliness is outstanding. Can't say enough about this blissful oasis...it's 10 out of 10 for us! We've just been on holiday for 1 month in Thailand and stayed on 3 islands, keep coming back to Hansar for a bit of luxury and the staff treet us like special friends. 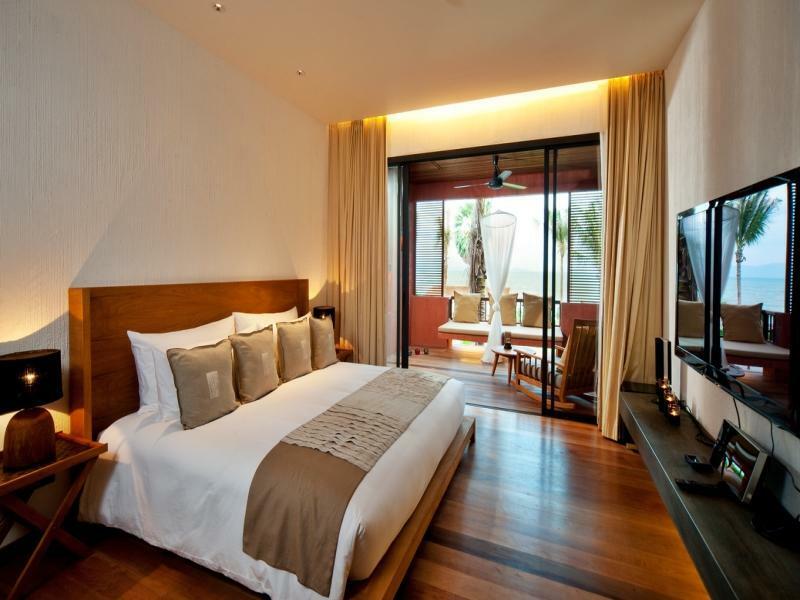 All of the rooms are sea view and have great balconies looking out to the beautiful pool, beach and coconut palms. Spectacular scenery and fabulous location, so close to Fisherman's village where there's brilliant dining and a super easy vibe. We've just booked for our 3rd stay for our last night in Thailand to say goodbye to all the staff as they're so lovely...it's going to be sad to leave this wonderful little piece of paradise! Starting with very good breakfast, the rooms and views are also superb. Every room has ocean view room. The swimming pool is the best part. Super lovely place and right next to Fishermans Village which is totally ideal - pool is amazing and rooms are gorgeous - bed was very comfy! Loved the little touches also - i forget to pack my beach bag and they have a complimentary you can use whilst your staying there! Overall a great stay! 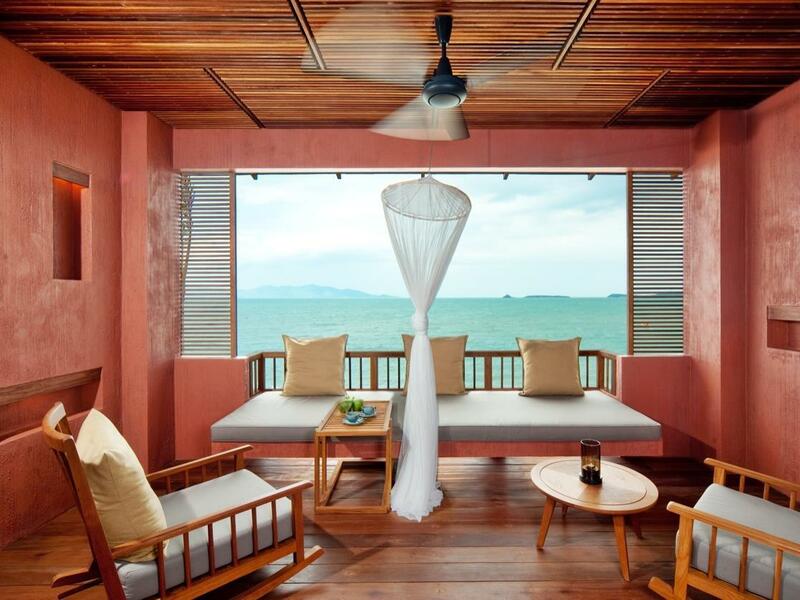 Traveling through Thailand with 3 girlfriends in our mid-30s, Hansar was the perfect retreat for two nights during our Koh Samui stay. Just not long enough. The location is perfect, right next to the plethora of shopping and bars/restaurants in Fisherman’s Village. Hansar has it all- including the pure luxury of a resort with an infinity pool that has every single passerby wishing they were staying at this resort. If a beach and ocean are more your thing, the beauty of Bophut Beach is just steps away. You really don’t need to leave the resort (and may not want to), but c’mon, you’re in Thailand! Luckily you don’t need to go far to experience the best of what this island has to offer. Hansar had us leaving wanting more, and I can see why people would come back here over and over again. If/when we return to this part of Thailand, we know where we’re staying.